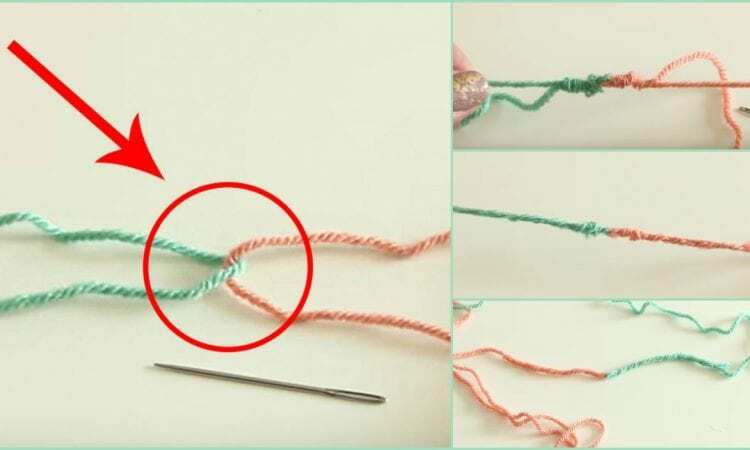 Have you seen this awesome splicing technique for two lengths of yarn? The Russian Join is a way of splicing together two yarns of comparable weight. Caution: they have to be plied [twisted] strands of ideally identical weight. Using a yarn needle that is as small as possible that will enable you to work the yarn, you loop the two strands over each other, and double them back over themselves. You work the free bight of the yarn into itself and Voila! This is a very similar way to the way large steel and hemp ropes are spliced, and produces a joint that is very similar in thickness to the original yarns, meaning that you end up with an essentially contiguous yarn, not a knot, loop, additional stitch, or what have you. This technique may require some practice, but will definitely make a believer of you after a few tries. You will not want to splice plied yarns the old way again. Happy crocheting, everyone!